Darth Salesman has just handed over a long-winded statement of work to the green project manager and beleaguered discovery team. Confusion and despair ensue. How is the team supposed to know exactly how to proceed? What kind of promises, parameters and expectations were made beforehand? What tone should they take as they work with the client? How can we bridge the gap between the sales process and discovery phase? Our poor discovery team has been left without any substantial tools to aid the client. How are they supposed to progress through the project without a solid frame of reference? Unless you get premonitions like Yoda, using the Force doesn’t always work! One might point to the statement of work (SOW) as a sufficient guide. But using SOWs as a tool is like trying to successfully navigate an asteroid field. Do you know what the odds are of that? 3,720 to 1. This is because SOWs are usually prescriptive and put the droid before the cockpit. They are also as inflexible as the wishes of the Emperor. And referring to the legalese is usually a sign that things have gone wrong. You don’t want things to go wrong, do you? We can do better than pouring over a soon-to-be obsolete statement of work to extrapolate the goals of a project. We need a document that’s accessible, clear and easy to follow. We need an arrangement that’s flexible to the client’s current needs and changing circumstances and attitudes, while protecting our team from any arbitrary, unfocused demands. We need notes that give everyone, including new project members, a quick and concise understanding of what is going on. Even though our unbillable sales agent of the Dark Side gets a bad rap, he or she is still, ultimately, good. During the initial consultation they will not only gather requirements, but also key facts that the project team can use to conduct a successful mission. Who will be the client project owner and lead? Who are the primary client contacts? What’s their contact information? Who are the stakeholders lurking in the shadows, i.e. the Emperor? What’s the background and overview (synopsis) of the project? What are the primary project objectives? What’s the project schedule and budget? What’s the preference for money, launch date, and quality? Available resources? Images, content, documents, interns? Estimated hours to complete the project and timeline. Basic expectations about the project. This information is the scaffolding of the brief which will then be fleshed out by a now empowered project team. We now have a collaborative document that arms our team with the perspective it needs to successfully complete the job. There are certainly more questions to ask and more requirements to flesh out, but the foundation has been solidly laid. Think of it as the second Death Star! The kick-off meeting should include a review of the brief and fleshing out the various components of the brief with the client. There needs to be a follow up and approval with signoff from the project owner and stakeholders. It’s up to the discovery team to continuously ward against pesky Rebel “attacks” by revisiting the brief and making necessary adjustments to it. We’re popular with mission-driven groups, but curiously the Galactic Empire has reached out to us to build a website for the third and final Death Star. The good news is we’ll be in business for the foreseeable future. 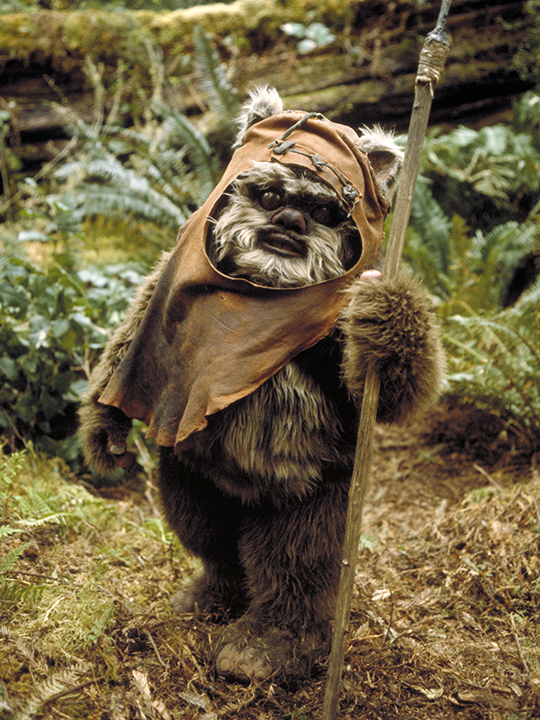 The bad news is we made Wicket Warrick cry.